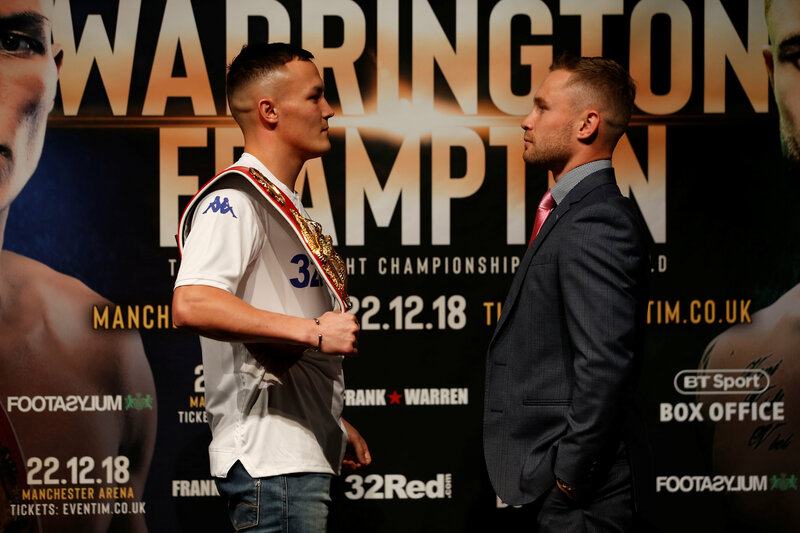 JOSH WARRINGTON BELIEVES Carl Frampton might just be underestimating the size of the task ahead in attempting to prize him from his IBF world featherweight title at the Manchester Arena on December 22. Frampton, a two-weight world champion himself, publicly declared his prediction that he felt Lee Selby was a shoe-in to retain his belt before he took on mandatory challenger Warrington at Elland Road in May. Warrington spectacularly upset the odds in Leeds and again finds himself ranked second in the betting ahead of his first title defence that will be shown live on BT Sport Box Office. The 27-year-old is aiming to ensure that history repeats itself and he confounds the odds against an opponent who might just consider the spoils are there for the taking. “Possibly he does,” the 27-0 champion told BT Sport. “In his head he thought he would be fighting Selby in his next fight and he never thought he would be fighting me. I think that kind of makes me a bit of a wildcard because nobody expected me to bring that performance – so what am I going to bring against Carl? “He will still have a few questions. He doesn’t know how good I am, no-one does. Obviously it is in my head what I am capable of doing and I think being tested against these boys is when I show what I can do. “Up until then I was always just going about business and beat who was put in front of me. Now it is to show what I am really capable of. “In my head I have got nothing to lose because I am still written off. Once again the bookies have got him as favourite and I am the champion. SAM MAXWELL insists that he is ready to step up and face Britain’s best Super-Lightweights.Maxwell (9-0) aims to make it a perfect ten as a professional when he boxes on the undercard of Josh Warrington’s IBF World Featherweight title defence against Carl Frampton at Manchester Arena on December 22. 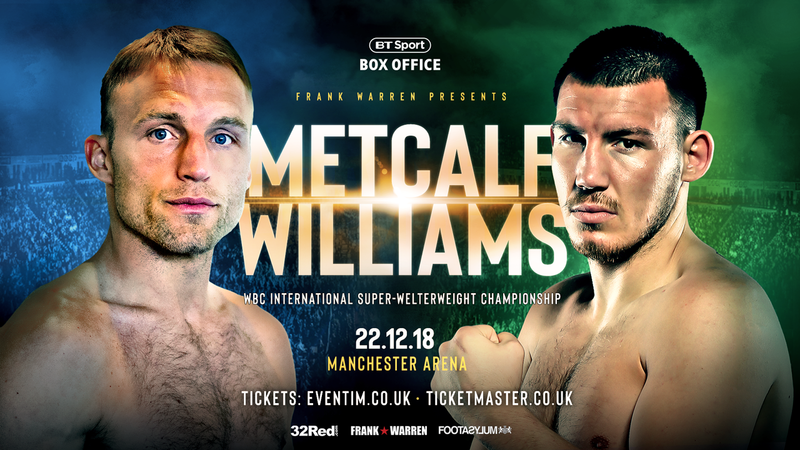 JJ Metcalf (18-0) will defend his WBC International super-welterweight title against Liam Williams (18-2-1) in support of the main event, while Mark Heffron (21-0) will challenge for the British middleweight title.Belfast’s blue chip featherweight prospect Michael Conlan (9-0) also features on the bill along with world flyweight title challenger Paddy Barnes (5-1) and unbeaten Light Heavyweight contender Steven Ward (9-0). Merseyside will be represented as Liverpool Welterweight prospect Sam Maxwell (9-0) returns to action on the show along with Formby’s Heavyweight Alex Dickinson (6-0). 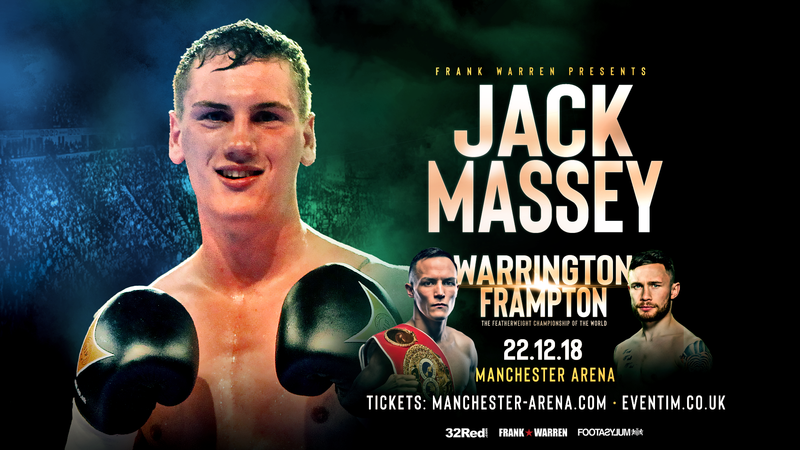 Derbyshire’s highly touted Cruiserweight Jack ‘One Smack’ Massey (14-0) will also feature. Anthony Crolla Training session ahead of his fight against Daud Yordan on 10/11/18 at Manchester Arena. 30th October 2018 Picture By Mark Robinson. Very limited tickets are available to purchase from www.stubhub.co.uk and www.manchester-arena.com. 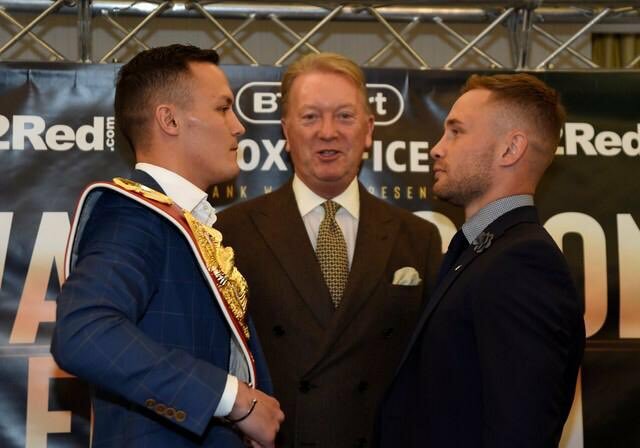 The Josh Warrington v Carl Frampton media tour reached its conclusion today in Belfast ahead of the blockbuster battle that will take place at the Manchester Arena on December 22 – live and exclusive on BT Box Office – with Warrington’s IBF world featherweight title on the line. Below is a selection of quotes from today’s meeting of the two combatants at the Clayton Hotel. Like I have said for the last three days now, I think it is going to be a very good fight, a very exciting fight. It is one I am looking forward to and, although I am harping on a wee bit, a year ago I was being written off – I was done, I was over the hill – but then my last two performances have been two of my better performances of my whole career. I believe the time is right now to win back a world title and go from there. It is something I will be working seriously hard for and I know Josh well enough and I don’t believe there is an ounce of quit in him. That is what is going to make it exciting. I always talk about the support that I have and how grateful I am for it. I believe I am one of the most well supported fighters in world boxing and I am a featherweight, whereas it is normally the heavier weights that get the support. Josh has got a terrific fanbase as well and, although it is Christmas and the budgets will be tight, I really hope that people will come out and support the fight and I will send them home very, very happy for Christmas. You take one fight at a time and the next opponent is always the most important guy. Obviously it is important to keep an eye on the future, but if this fight is as hard and exciting as it can be then people will be crying out for another one – and then another one after that. You never know what will happen. I just believe I am in the best shape of my life right now and, the same as Josh, I believe I am in my prime years. I want so much to win another world title and I will be sticking the fingers up to the people who thought I was done. That is the reason why I am doing this. There have been no comments about my suit so far so I am pleased with that! Listen, I am looking forward to what is going to be a tremendous fight and potentially the fight of the year. It is one of those fights that don’t come around that often. You see fights that get built up then don’t deliver, but this one has got all the ingredients to be one that will be talked about for a long time. I have said over the last couple of days that I have been keeping an eye on Carl over the last few years and I have watched his career as a fan. When he moved to featherweight I watched him as a potential opponent. Carl says he is in the best shape of his life, while I feel I am just reaching my peak years. I had a great win over Lee Selby back in May and as soon as I got back to the dressing room I thought ‘who’s next?’. I can’t wait for the night and you guys will be in for a real treat, that is for sure. I always think boxing is about timing and I have never said I thought Carl was done. You can only fight who is put in front of you so I am under no illusions and won’t be going in there thinking it is only a 75 per cent Carl or he is not the same Carl as when he boxed Quigg or Santa Cruz. I will be preparing for the very best Carl Frampton, like I do with all my opponents. I’ve worked hard to win this title and I don’t plan on giving it up any time soon. I am fighting someone in Carl who was rated pound-for-pound and recognised by Ring magazine, so I know he has got some really good credentials behind him. I know that I will need to be at my best but I am in a very good place at the minute. My confidence is through the roof, I am loving the sport and I can’t wait for this fight, I really can’t. 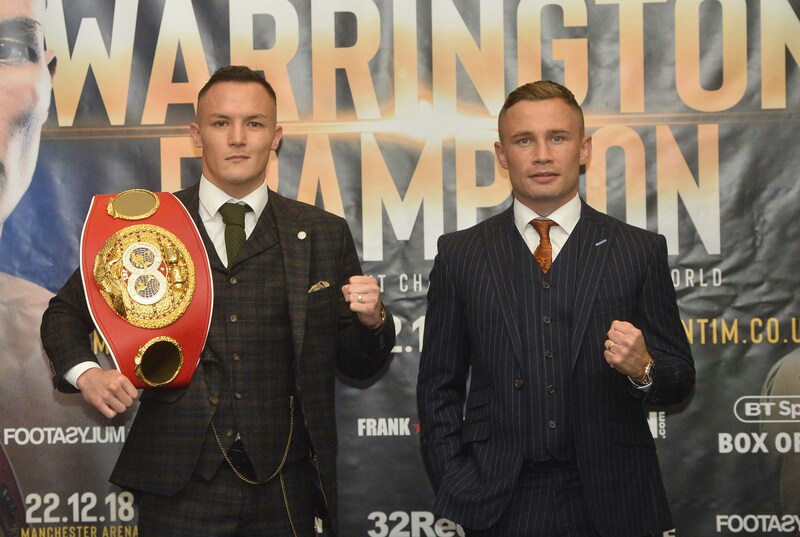 Tickets for the upcoming British blockbuster world title fight between IBF world featherweight champion Josh Warrington and former two-weight world champion Carl Frampton are on sale now. The clash takes place on neutral territory when they enter the ring inside the Manchester Arena on December 22nd. Dreams came true for Leeds native Warrington in May when he won his world title by defeating Welshman Lee Selby in front of over 20,000 fans at the home of his beloved Leeds United FC, Elland Road. Frampton also experienced his own stadium fight when the Belfast hero had 25,000 of his fans sell out Northern Ireland’s national stadium, Windsor Park in August as they witnessed ‘The Jackal’ dismantle tough Aussie-fighter Luke Jackson in 9 rounds. “You look at the best ticket-selling fighters in this country and the top four are [Anthony] Joshua, Carl and Josh, then Tyson Fury. They are the biggest ticket sellers and these two guys have the most vociferous and most passionate supporters.” said hall of fame boxing promoter Frank Warren. Frampton also posted a message across his social media channels this morning: “Come and watch me win my fourth World Title all just before Christmas!”. 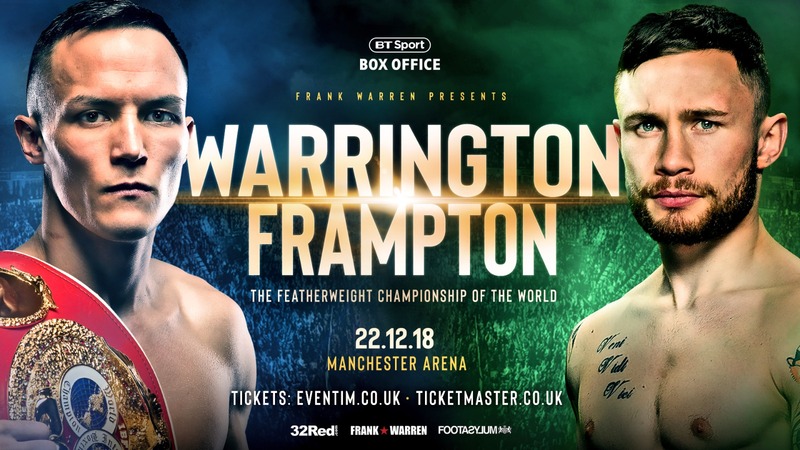 Josh Warrington defends his IBF world featherweight title against Carl Frampton in an all-British blockbuster, live and exclusive on BT Sport Box Office on December 22 and the pair today launched a three-city promotional tour that began on Park Lane in London before Leeds and Belfast provide the next staging posts. Below are a selection of quotes from today’s proceedings at the Grosvenor House from the fighters, along with promoter Frank Warren. You look at fights the fans want to see and wait to see and normally they don’t happen until one of the guys is past his best or on the way out. 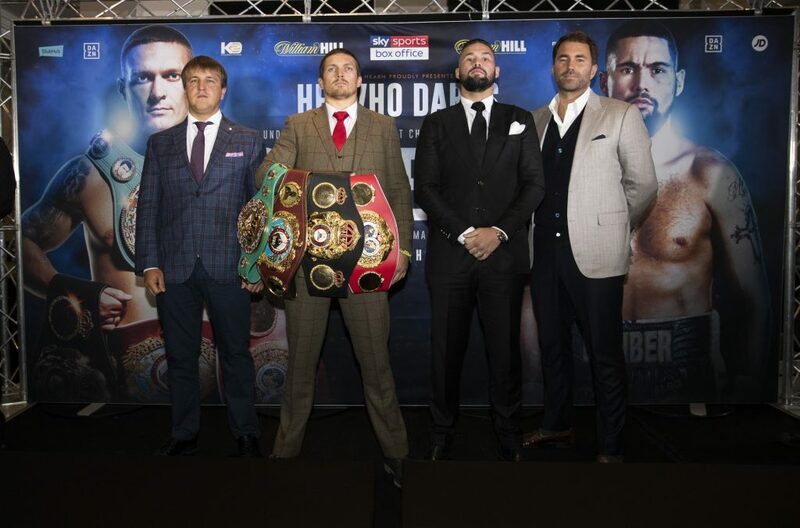 This is a fight involving two of the best British fighters who are in the top four in the world and are certainly two of the most exciting, well supported boxers in this country. It doesn’t get any better than this. They are at the top of their game and the two of them are fighting each other. This is a fight that anyone who has any interest in boxing or any idea about boxing – styles making fights – this is the one. This is the fight that really does matter and it will go down as one of the best fights in recent years. You look at the best ticket-selling fighters in this country and the top four are Anthony Joshua, Carl and Josh, then Tyson Fury. They are the biggest ticket sellers and these two guys have the most vociferous and most passionate supporters. The atmosphere in the venue is going to be unbelievable and we have all the ingredients to make it a cauldron and a great, great event. This to me is what I am in the game for, to put on events like this. I actually felt like I was cruising in second gear in my fight against Lee Selby, boxing to instruction. Going into the second half of the fight I sat down on the stool and asked the old man if it was time to go up a gear, but he just wanted me to carry on doing what I was doing – making him look daft and out-boxing the boxer. It was against all odds, especially with most people giving me no chance whatsoever. It was very satisfying and I backed up everything that I said. It was a helluva night and one that will stay with me until the day I die. Now I have got this world title I am not giving it up any time soon. In my own head, when Carl moved up to featherweight and all my pals said he is coming for me now, I knew he had one hell of a fanbase and is one great fighter. I said yesterday in the head-to-head that I have enjoyed watching Carl over the years and I’ve almost been a bit of a fan watching him in some of his fights. As soon as someone comes into your division you start keeping tabs on them and keeping your eye out for fights down the line. Obviously after beating Lee there were options to have steady voluntaries, but there aren’t easy fights at world level because everybody wants to be where you are. I treat everybody with the same mindset and I train my b*llocks off just like I do for every fight and work as hard as I can because it means that much to me, winning and going forward. When the Carl fight came along it wetted the appetite and as a champion you want to prove yourself as the best. I am ranked No.2 behind Carl and I believe I am No.1, simple as that really. Boxing fans want to see this and boxing is thriving in this day and age. 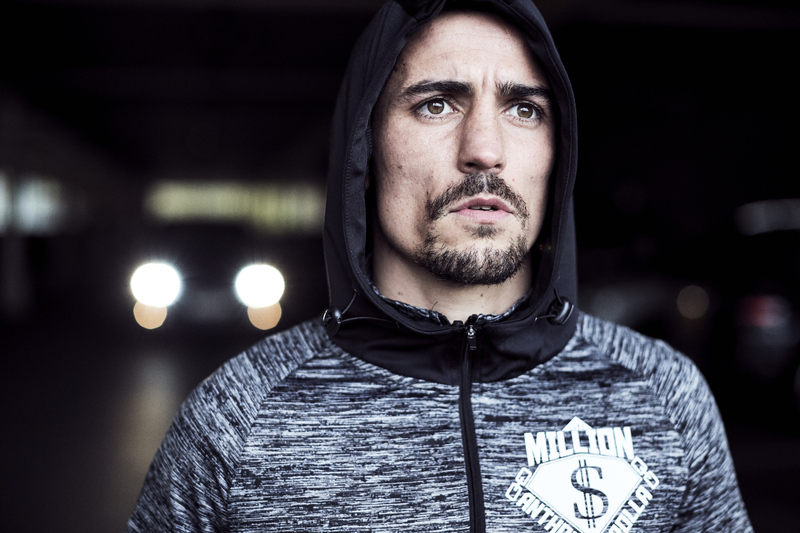 Some big fights aren’t happening because there are a few out there still digging in their heels, but I am a fighting man and I want to prove myself against the best. I’ve said it and talked about it a lot that I wasn’t enjoying boxing a couple of years ago and was just counting down the days until retirement. A change of team, since I’ve joined Jamie Moore and Nigel Travis, since I’ve teamed up with Frank and MTK, things seem to be going well for me and I’m enjoying boxing again. That is the thing, I was winning big fights and beating good opponents when I wasn’t really enjoying it. Now I am enjoying it, I’m training well and smart, I believe that right now I am better than I’ve ever been. Everything has made a difference and it is the people I am around. I am enjoying everything and I feel like I am training smarter now and not running myself into the ground constantly and over-training. I am doing it differently now with a much smarter approach. I genuinely believe I am in my prime years now. I thought it was a very good performance by Josh against Selby and he did what he had to do. He proved me wrong because I fancied Selby going into the fight like a lot of other people. You have to look at his game-plan as well because people think he just likes to come forward and throw lots of shots. The plan his team came up with was very good, but he had to carry it out and execute it. He did that to a tee and credit to him. I look at Selby and I knew he was really struggling with the weight and he had been for a while. I feel in that fight it caught up with him and you can tell from the fact that he is not coming back at super featherweight, but at lightweight. That tells you enough, but Josh did what he had to do. Credit to him for taking this fight when he could have had a easier defence, but I agree there are not easy fights at world level, but he could have had an easier one. I think it is a big, big fight for British boxing and the biggest one of the year. This will be the sweetest world title because I’ve been written off. I genuinely believe I am back at my best. I understand that Josh isn’t Donaire or Luke Jackson, this is a tougher fight and I am expecting a tougher fight. 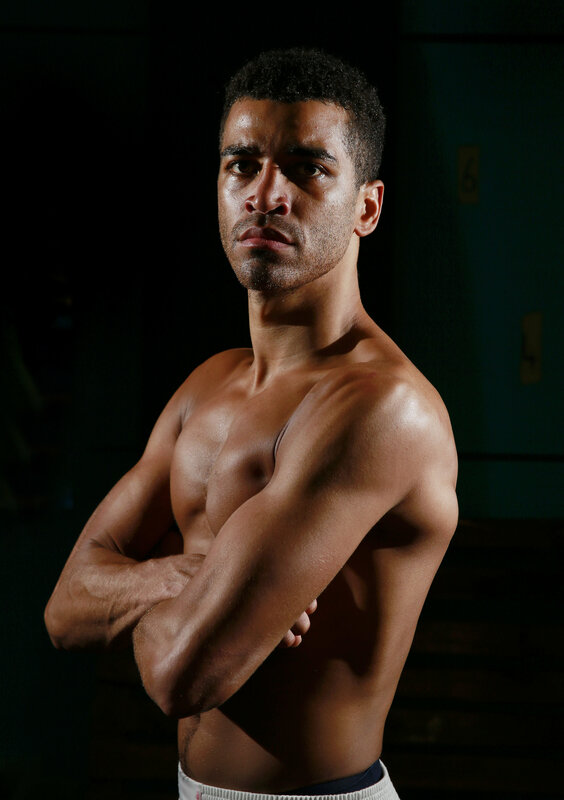 He is full of confidence at the minute, but I believe I am a better fighter and I will prove it on the night. I feel like I have beaten better fighters than Josh already and I think that is going to be the difference.